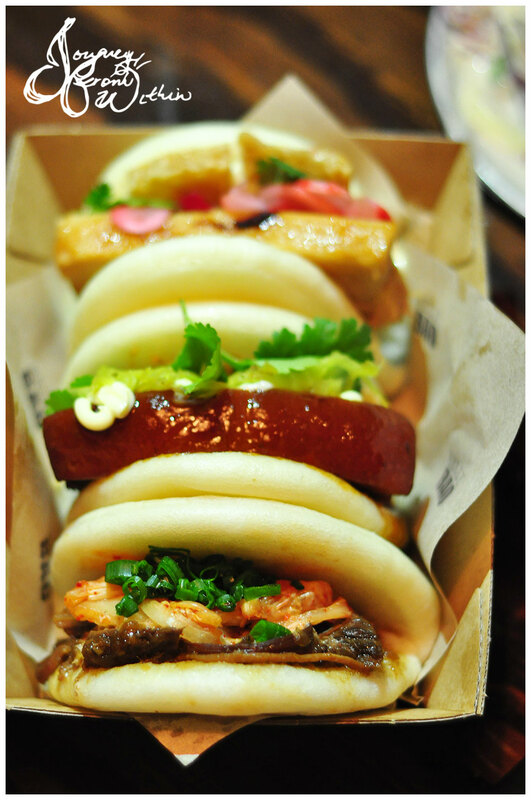 The first time I went to Belly Bao was when they first opened, and unfortunately, all their baos were sold out. But no worries, after about a year of operating they have assured us that they have mastered on their supplies and we will be guaranteed our baos. That makes us happy. 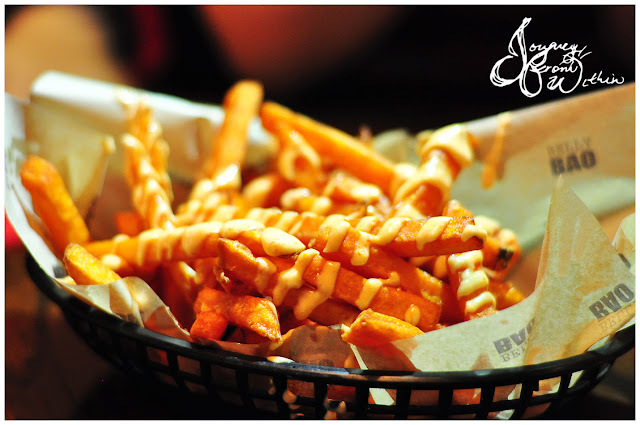 We start with the sweet potato fries, while the fries are sweet and tasty what gives you that massive kick is the chilli aioli, that spice is just something I love to help pop these babies. However, I may be the only one that loved the spice as the others seemed to dig around the sauce to get some untouched strips. More for me! The slaw is tasty, doused in dressing making us feel like we’re being healthy digging in for more vegetables when we all know this is not as healthy as it seems. I’m not sure about you, but I love coriander as I find it gives everything just that subtle flavour that you didn’t think did anything to the dish until you take it out and find something missing. I go for the crispy pork belly bao, and man, let’s go with the pork first, soft and tender, almost melt in your mouth like. But what made me all the more excited was the generous two pieces of crackling sitting inside the soft mantou bun. It was airy yet crispy, hitting all the right spots for my crackling love. The slow braised beef ribs may have been outshone; the beef ribs were tender and soft. With bites of kimchi between it all. It was a dilemma, fried chicken or the sweet baos. Let’s go with the sweet ones this time. Miss CC and aus2usa went with the strawberry bao. Miss FJ and I on the other hand went with the baonana split. 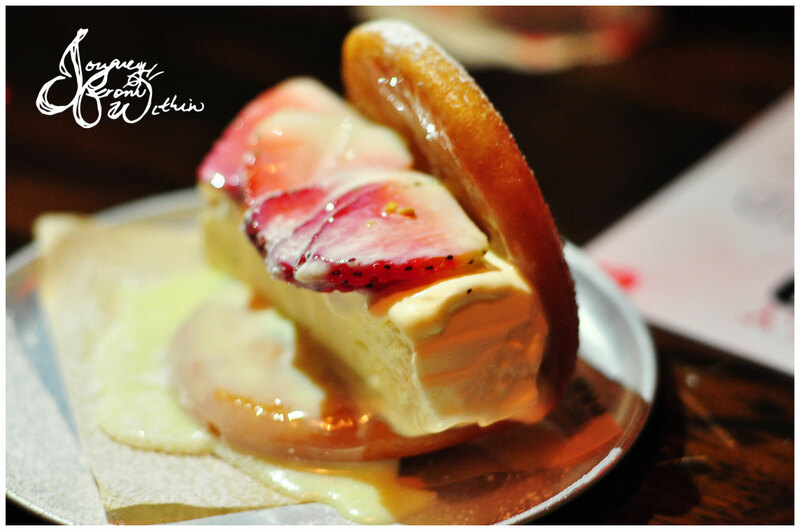 Slices of banana sat on top of the block of vanilla ice cream inside the deep fried mantou bao. Oh my, where to start? I deconstructed my dessert and forked it all together again. The deep fried bao was a nice crispy sort of chewy texture, I really enjoyed that. 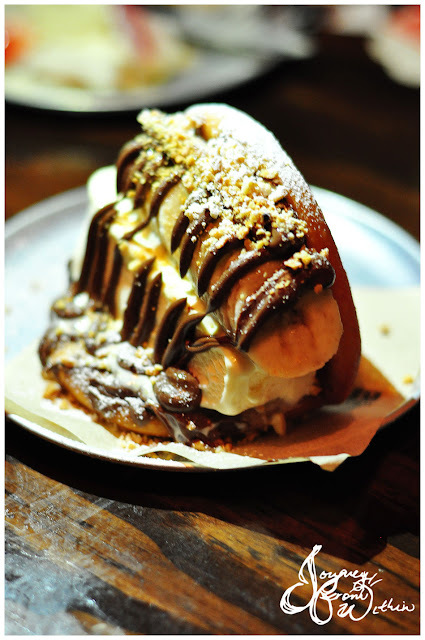 I think I need this in my belly again. A revisit! Why? 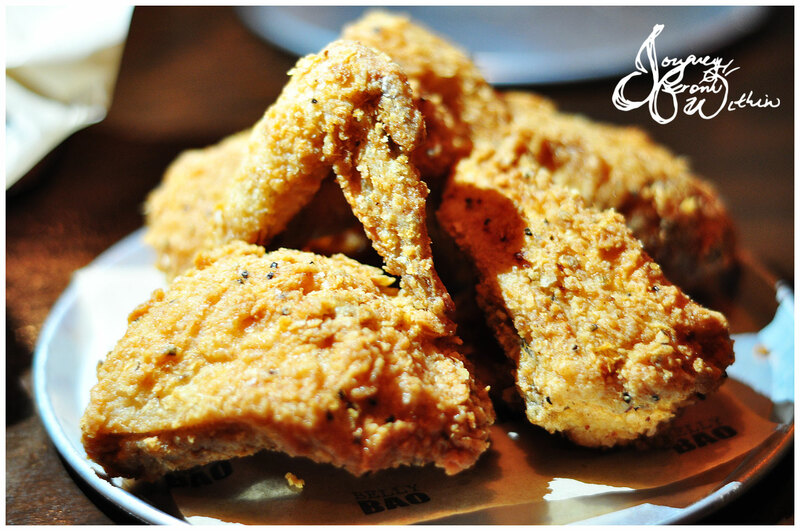 Because I skipped the fried chicken last time! Three options: crunchy, sticky, spicy. Pretty much a no brainer for us, CRUNCHY ALL THE WAY! And crunchy it was, moist and tender insides made us wanting more, but wait – we only ordered the half serve which comes with 5 pieces, pretty standard size. Miss CC wanted to try the papaya slaw, I mean I wanted the slaw but she was right, we had to try other things… yes mum Miss CC. It comes with crackers, which taste like vita wheats, the slaw was rather bland in comparison to the slaw. However, it does help refresh your palate. A lighter and perhaps much healthier slaw to go with. This time I decided to go with the braised pork belly, while this is just as amazing as the crispy one cause the pork was almost melt in your mouth soft, there just was no crackling for my belly. So that was such a heart breaker, so much my heart cracked. But there should be a warning on the soft shell crab, it’s spicy! 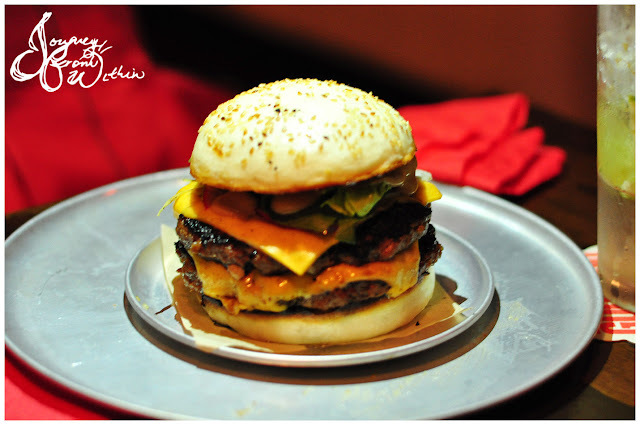 It comes with the chilli aioli and again, I am loving the kick it offers. 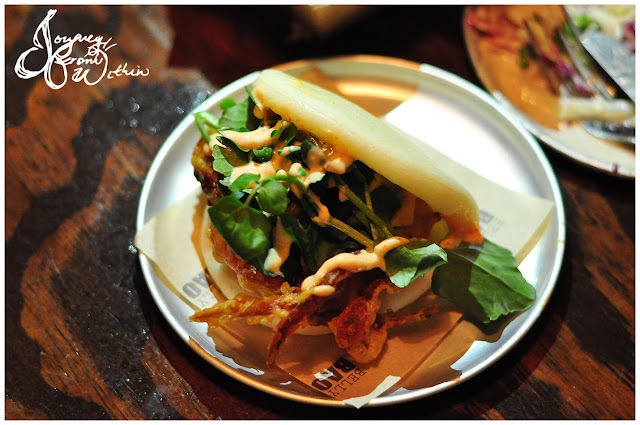 Crispy fried crab and a soft bao with that chilli aioli made my heart flutter again. Someone was a happy girl. Many have already been to belly bao, but being late yet again, I am still eager to go back and try the remaining two baos and their chicken wings! 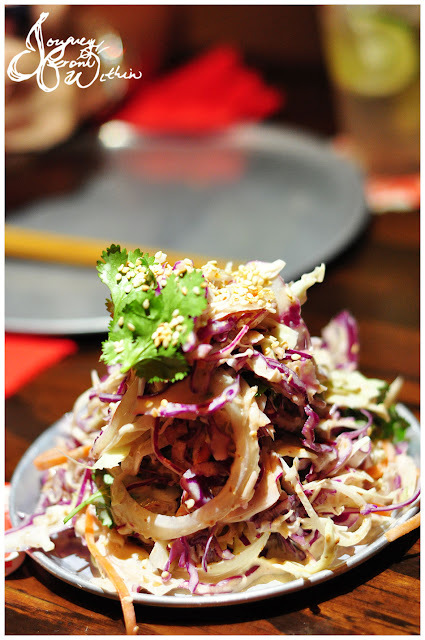 Have you been to belly bao? What’s your favourite? That slaw looks good but gah, that fried chicken! Crunchy for sure! 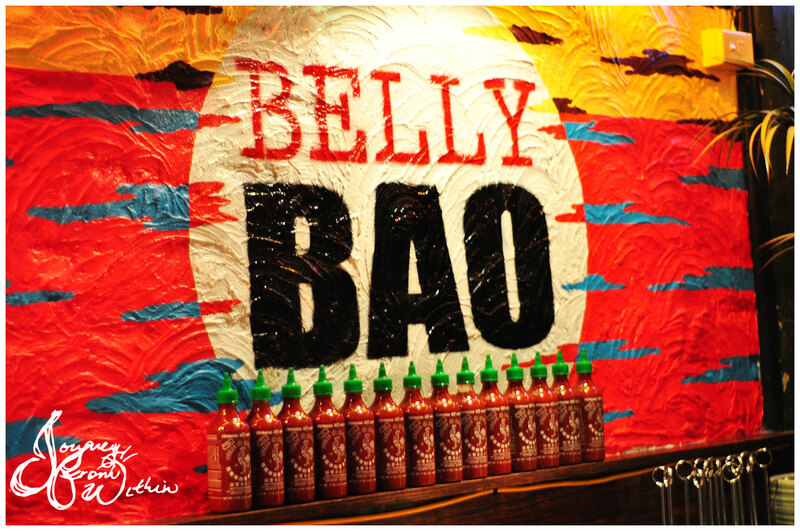 I really need to visit Belly Bao ASAP!!! I wanna try the fried chicken, the baoger and eat ALL the baos!!! 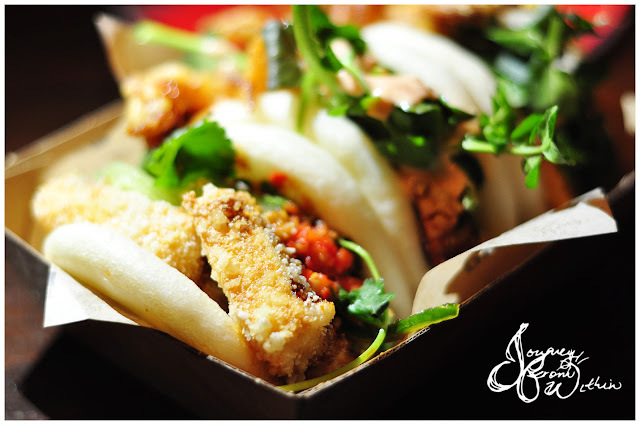 Aww maah gawwd these baos look so enticing! No I haven't been but it's on my to go to list for way too long. We saw this too from Isaac's post on iFat and this just affirms these baos are getting more and more attractive. 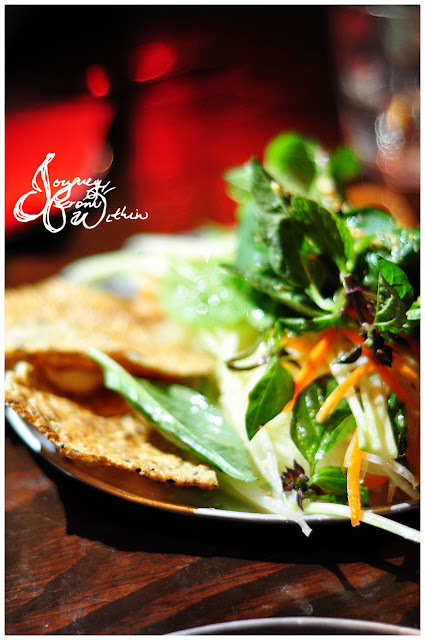 Savoury or sweet - we would love to have a taste of everything, seriously! !